SILVER SPRING, MD – April 25, 2018 – How would you survive inside the justice system if you were convicted of a crime you did not commit? 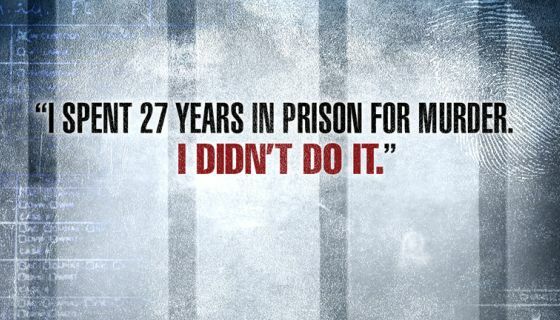 TV One’s EVIDENCE OF INNOCENCE spotlights the unbelievable true stories of four people who endured this life-altering nightmare—innocent of crimes for which they were arrested and ultimately imprisoned. Premiering Monday, June 4 at 10/9c on TV One and hosted by acclaimed civil rights attorney Benjamin Crump, each one-hour episode of Evidence of Innocence focuses on one wrongfully convicted man or woman – Lisa Roberts, Richard Miles, Melonie Ware and Mark Schand – each faced with the enormous challenge of maintaining faith while awaiting the opportunity to prove their innocence. Locked in cells for years upon years, wrestling with fear, maddening loneliness, suicide-inducing despair, these survivors who somehow endured the struggle to have their cases overturned and regain their freedom, share their riveting accounts with Attorney Crump. Attorney Crump, who formerly served as President of the National Bar Association, has dedicated his career to bringing justice to those who are marginalized by the legal system and proves an insightful guide through each Evidence of Innocence journey. Crump served as the lead attorney for the families of Trayvon Martin, Michael Brown, and Alesia Thomas, and is a vanguard in the fight against police brutality. An Emmy and NAACP Image Award winner, acclaimed television and film producer Rushion McDonald (The Steve Harvey Show, Jamie Foxx, Think Like A Man) of 3815 Media is the series executive producer and creator, in partnership with Jupiter Entertainment. McDonald said that he was moved to create Evidence of Innocence in response to all the national headlines chronicling the racial injustice in America’s justice system. In 2004, Melonie Ware realized her dream of running a daycare facility from her home. But when an infant mysteriously dies in her care, her life spirals out of control. Doctors and police say Melonie killed the child in a fit of rage. Her own defense attorney even has reservations about her innocence, and refuses to believe her version of events. The jury refuses as well, and sentences Melonie to life behind bars. Now incarcerated, her fellow prison inmates terrorize her as a child killer. Unwilling to let his wife suffer in this living hell, Melonie’s husband risks the family’s life savings to overturn her conviction. But with prosecutors determined to keep her in jail, will Melonie ever see freedom? “These stories of redemption after going through horrific circumstances are certain to encourage viewers to face their own personal challenges with renewed resolve.” said Tia A. Smith, TV One Sr. Director of Original Programming and Production. Evidence of Innocence is produced for TV One by Jupiter Entertainment. Rushion McDonald, Benjamin Crump, Todd Moss and Allison Wallach serve as Executive Producers. Executives in Charge of Production are Robert Twilley and Harrison Land. For TV One, Tia A. Smith is Executive in Charge of Production and Sr. Director of Original Programming and Production; and D’Angela Proctor is Head of Original Programming and Production. TV One viewers can also join the conversation by connecting via social media on Twitter, Instagram and Facebook (@tvonetv) using the hashtags #EVIDENCEOFINNOCENCE and #REPRESENT.